The Acoustic EQ | A series of vented, sonic portals within the drum shell altering the compression ratio of the drum, while simultaneously changing the air ratio escaping the drum. Designed to allow for the ultimate range in tone, both rows of portals may be independently or simultaneously adjusted to achieve the desired sound and feel. Instant and custom Acoustic Equalization in real time. 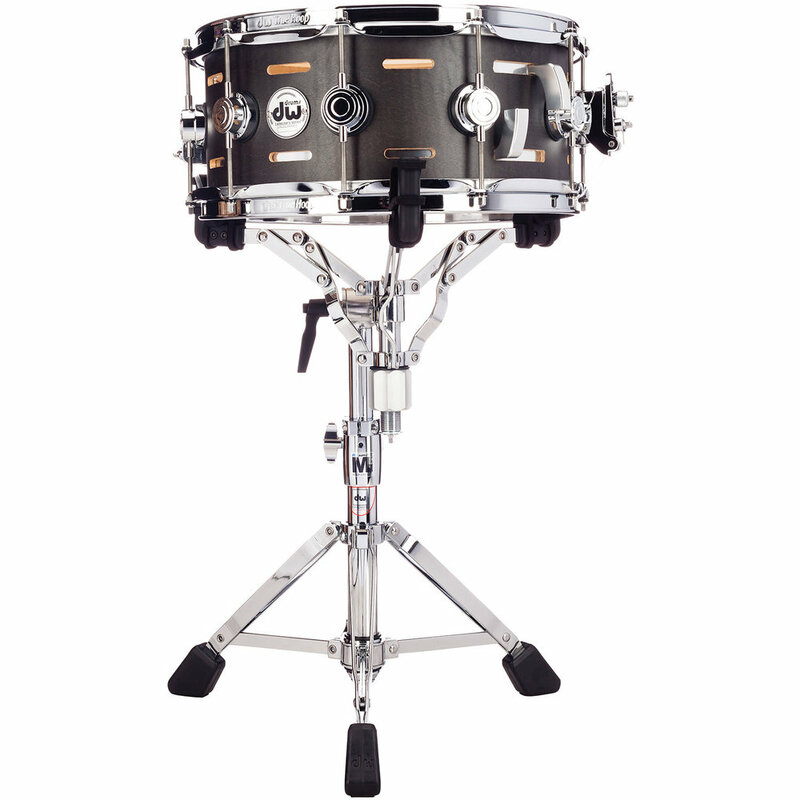 Aluminum bands follow a track inside the shell of a drum while sonic portals at the batter and resonant locations open and close controlling the air ratio in the instrument. Designed to optimize the dynamic range of the drum's timbre, volume, snare sound, and stick response, the Acoustic EQ allows for instant control at your fingertips. Open both rows of portals to deliver a crisp, powerhouse sound, or close both rows to create a discernible difference in sharpness and tonality. Clise it off for a dry tight staccato crack, opent it up completely for a thick bottom end, or customize it to your preferred placement. The Acoustic EQ has the ability to customize the drum to the player's environment, no matter the venue. Available in a several finish options.